Late Heath Ledger, Colin Farrell, Johnny Depp and Jude Law, four super handsome and talented guys, are all in this movie! The brand new trailer for Terry Gilliam’s The Imaginarium of Doctor Parnassus has just been released giving a pretty clear perspective of what we should look forward to in the soon-to-be released movie. Well, no doubt the flick would have never received so much media attention if it didn’t star Heath Ledger and wasn’t the last film he made before his premature death in January 2008. 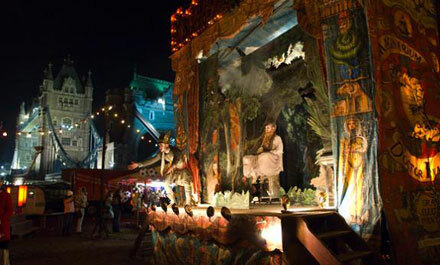 To complete the movie, three gorgeous actors Johnny Depp, Jude Law and Colin Farrell agreed to play Heath’s part portraying transformations of Tony (Heath Ledger) as he travels through a dream world. The trailer looks pretty exciting, and the fact that the film is directed by Terry Gilliam who has previously worked on The Brothers Grimm and Twelve Moneys lets me expect something special from the movie. Besides, I’m curious to see Lily Cole act. Check out the trailer below and tell me what you think about it! 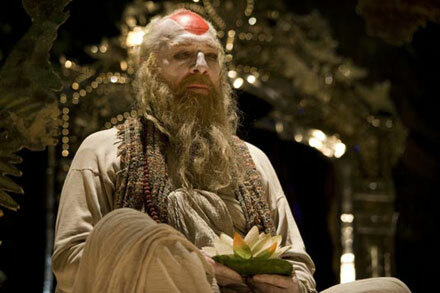 The Imaginarium of Doctor Parnassus is released on December 25, 2009.